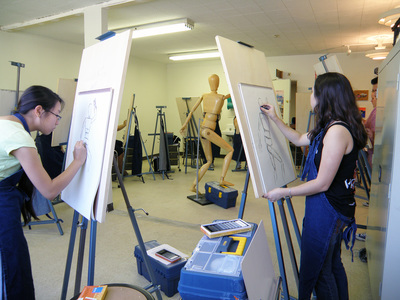 The Reed Fine Arts Academy. 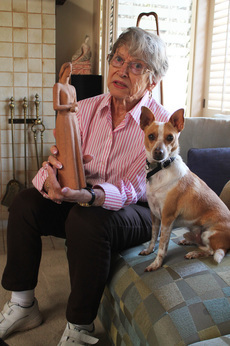 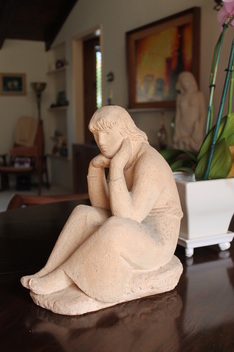 Ruth Reed with one of her sculptures and Jiminy. 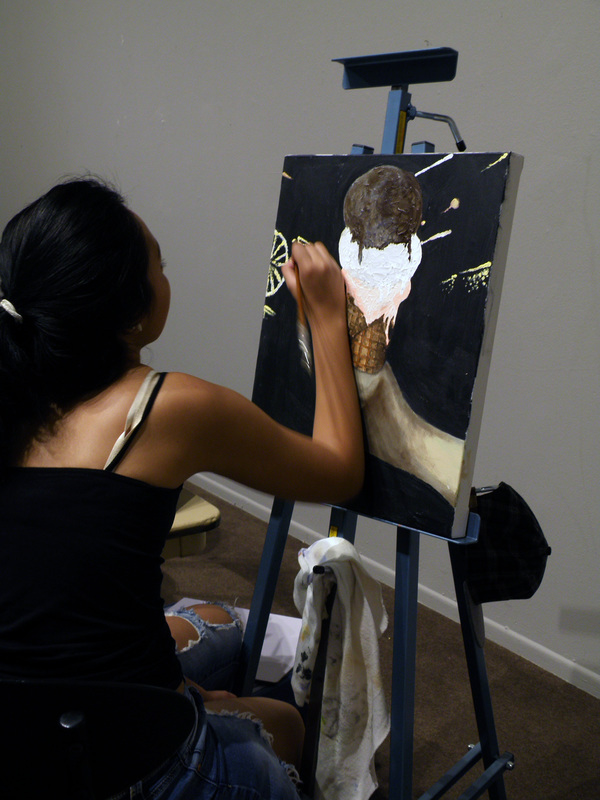 July, 2015. 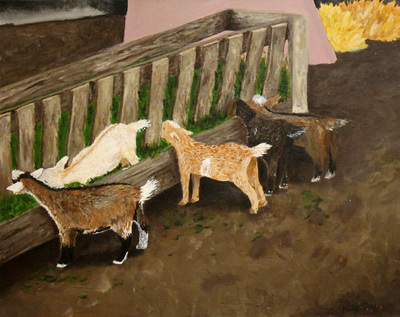 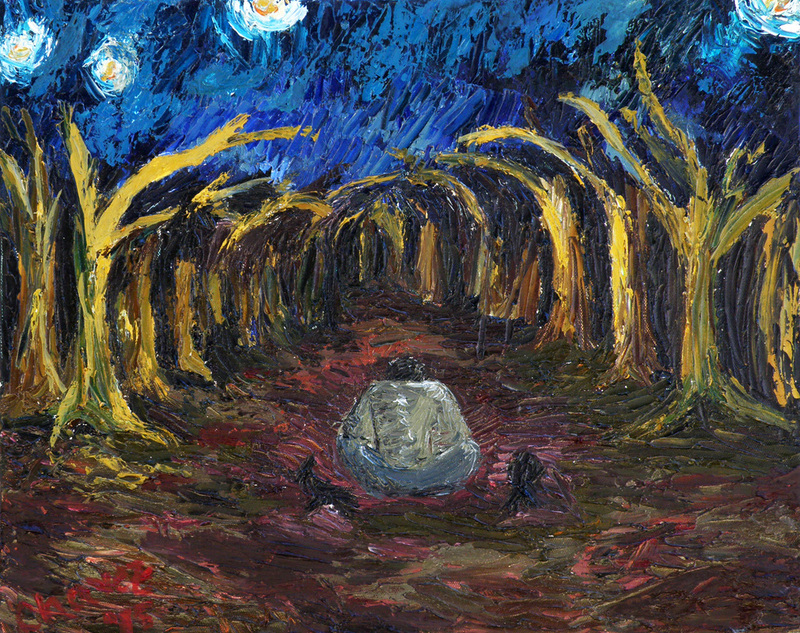 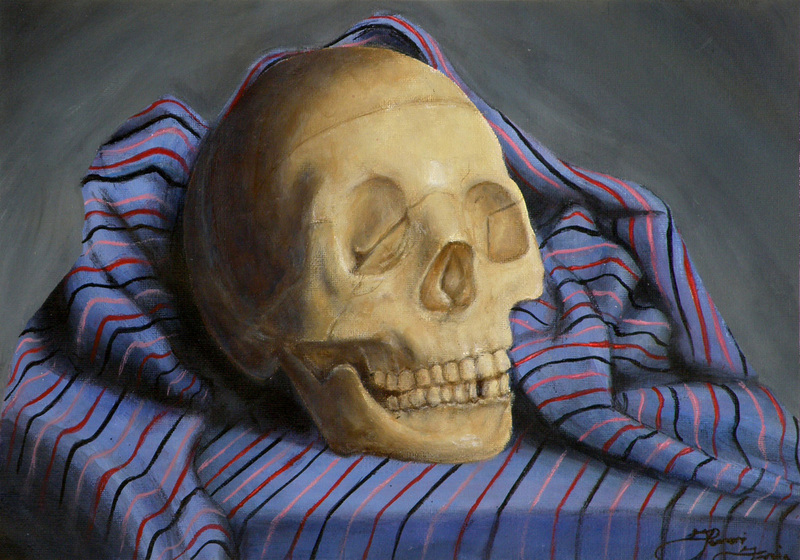 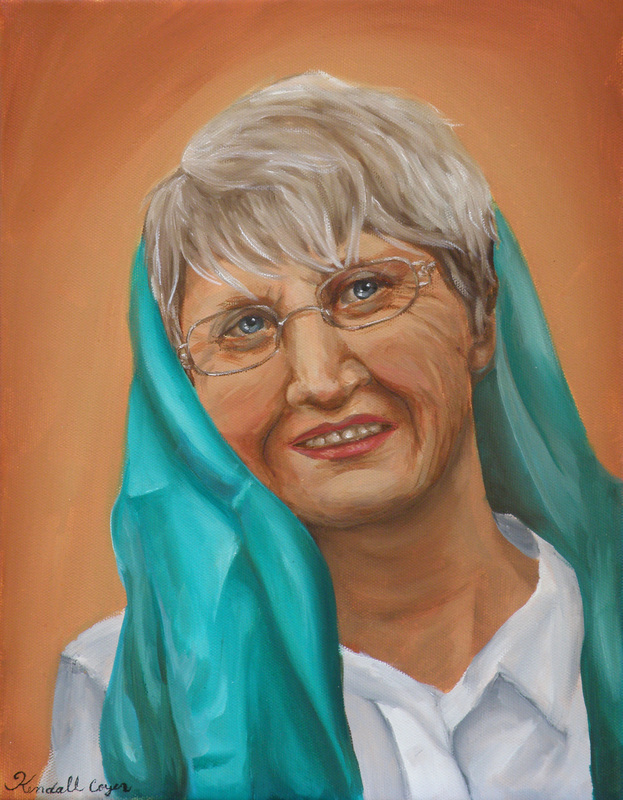 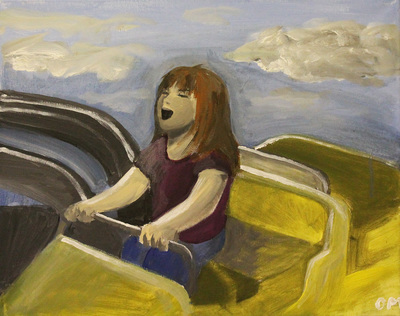 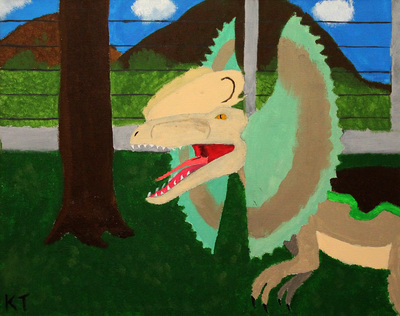 "Ruth Reed," painting by Kendall Coyer, Reed Scholar 2011. 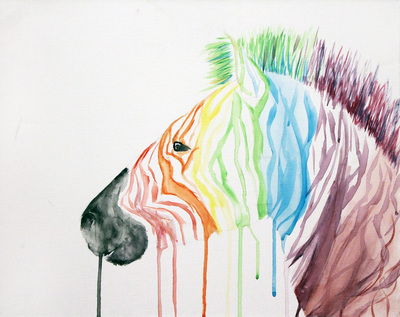 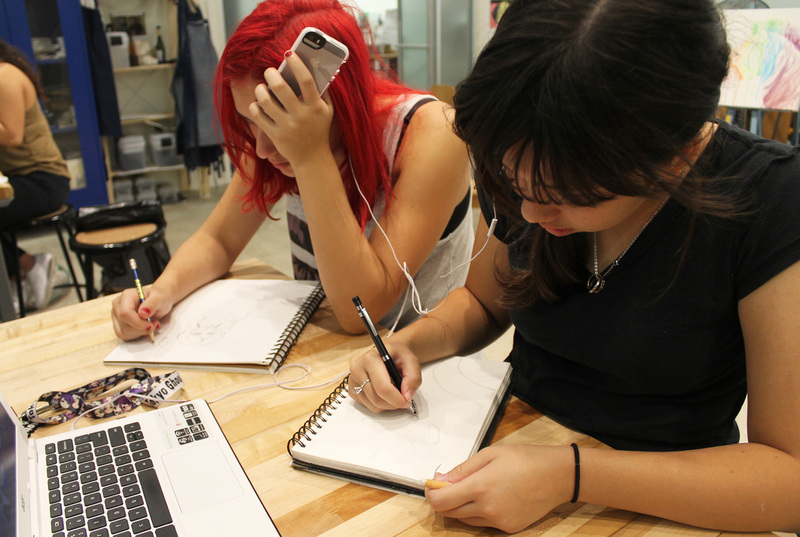 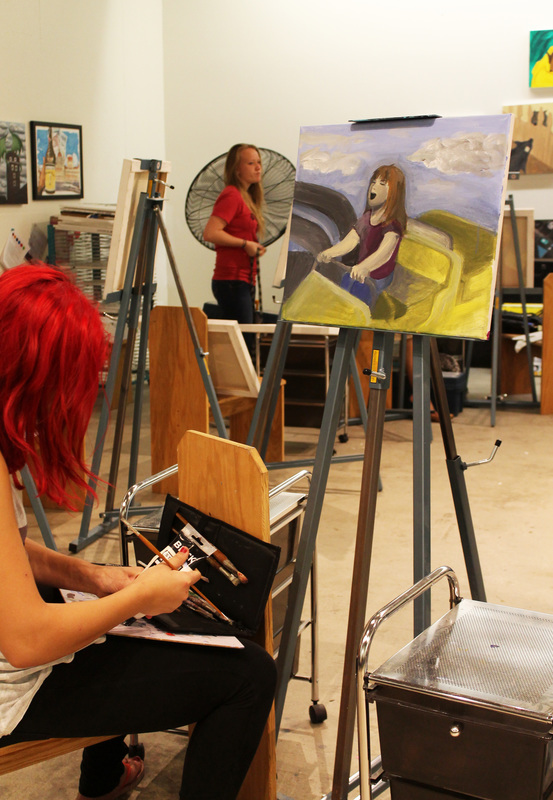 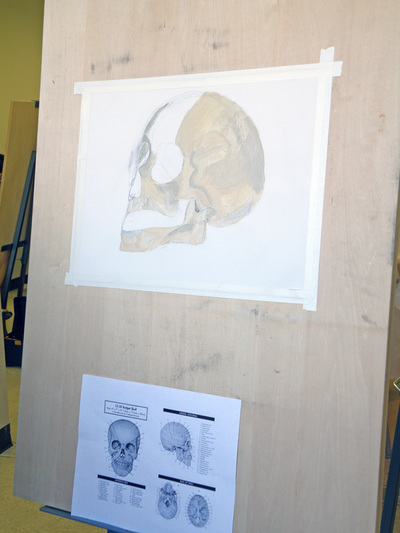 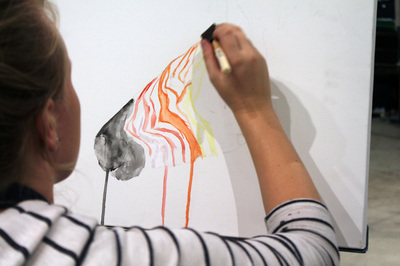 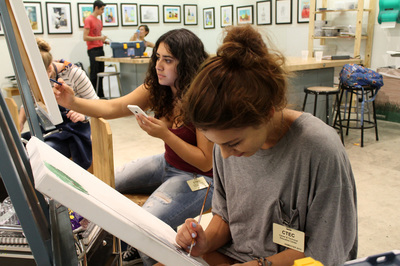 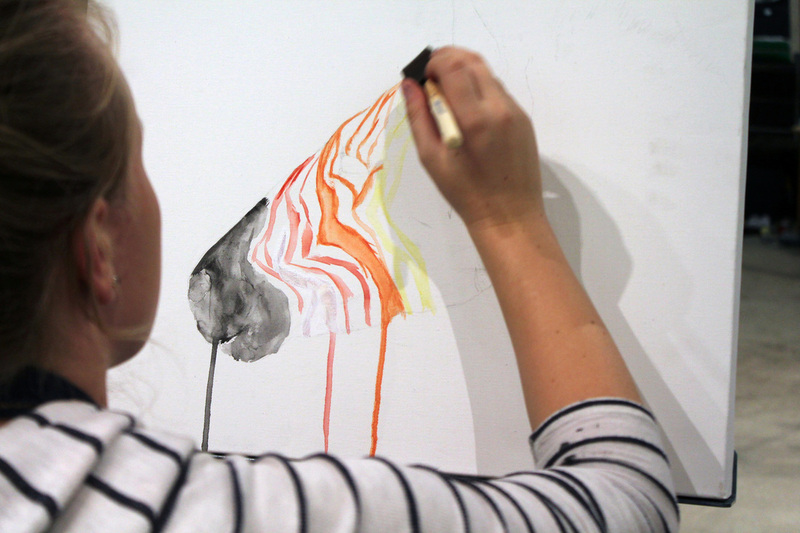 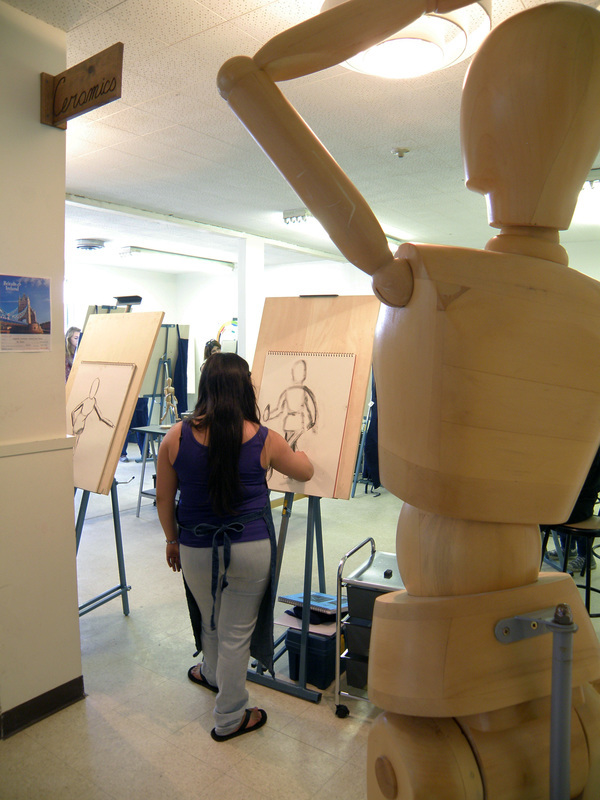 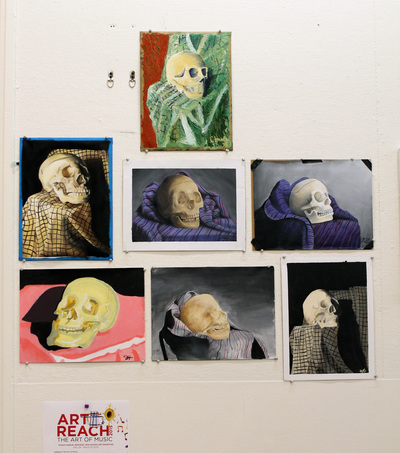 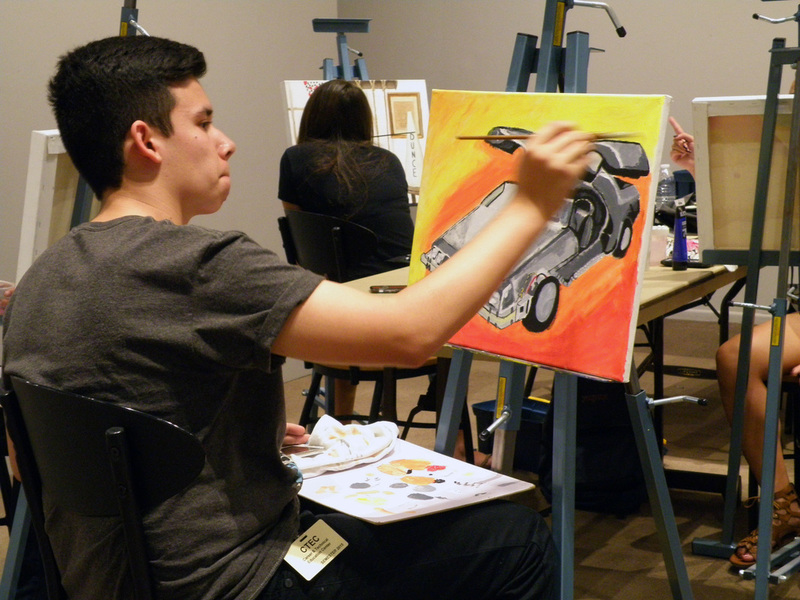 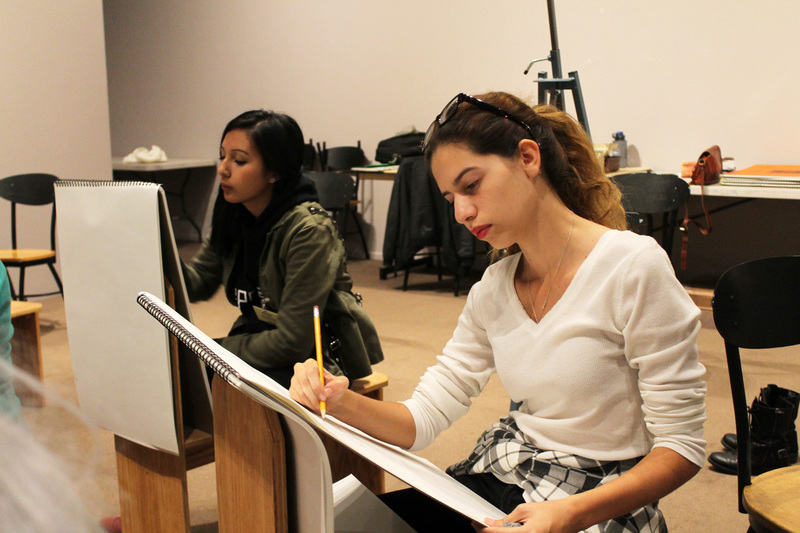 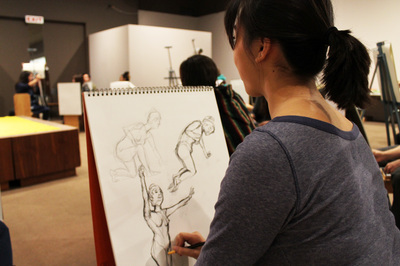 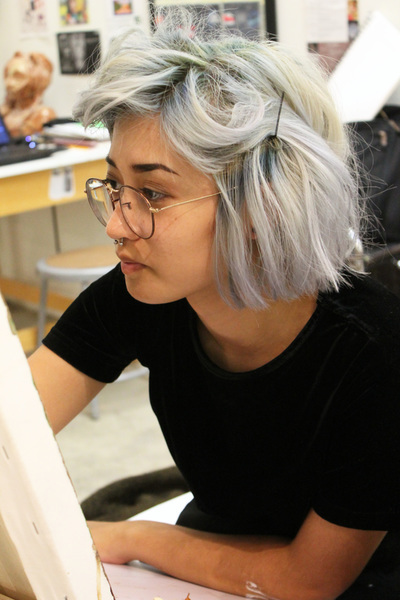 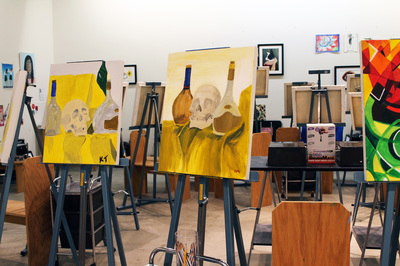 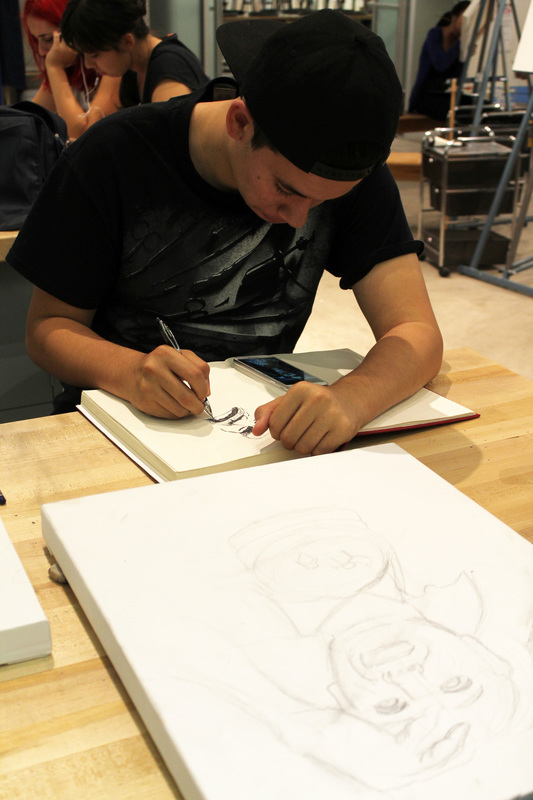 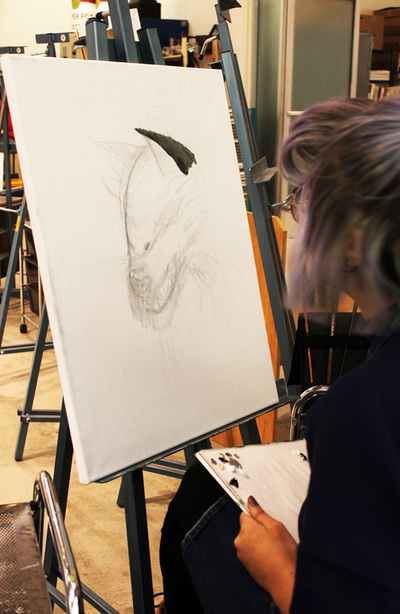 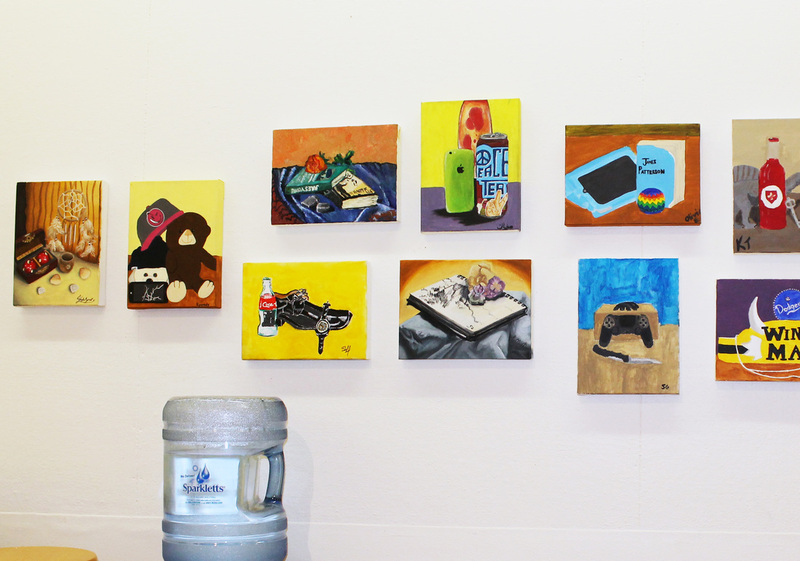 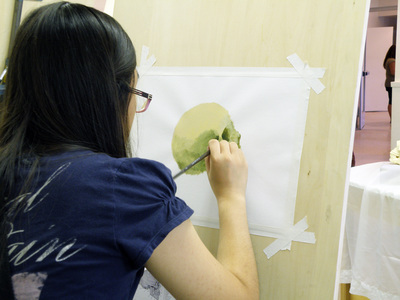 The Reed Fine Arts program at the Millard Sheets Art Center provides free advanced art courses in drawing and painting to students who demonstrate a willingness to commit to an entire year of study. 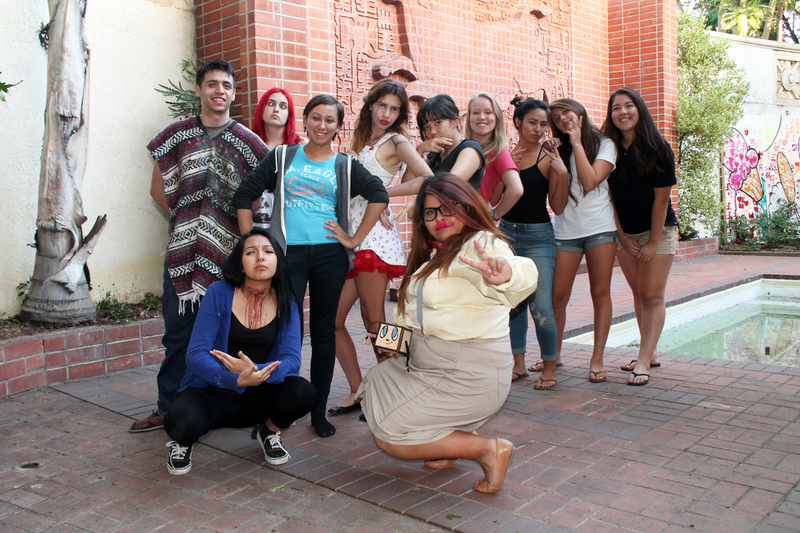 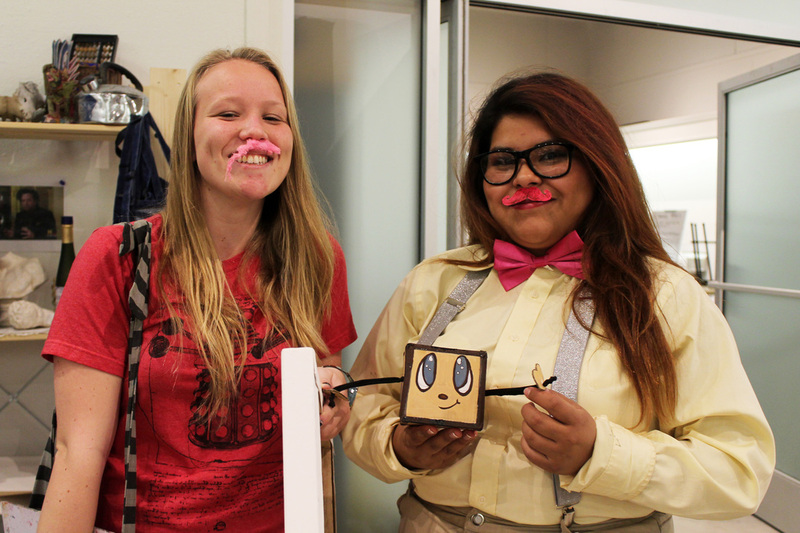 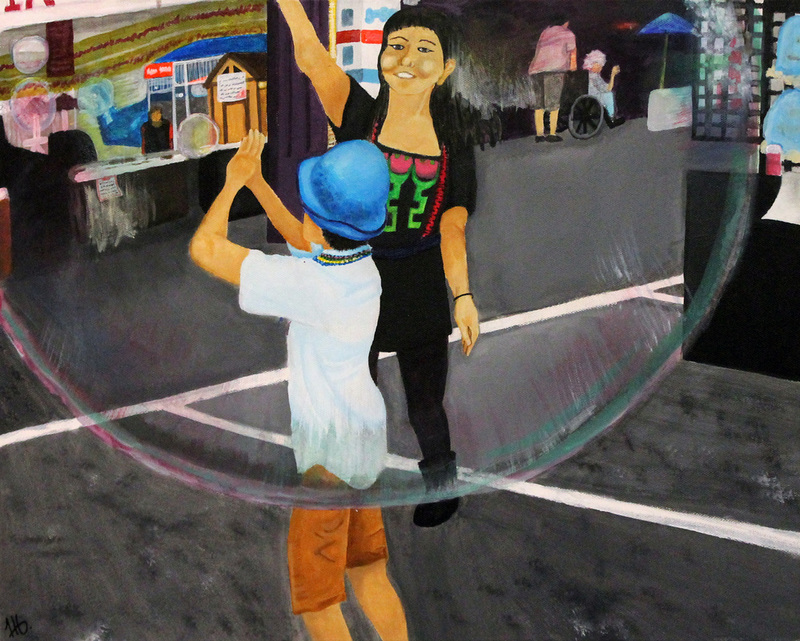 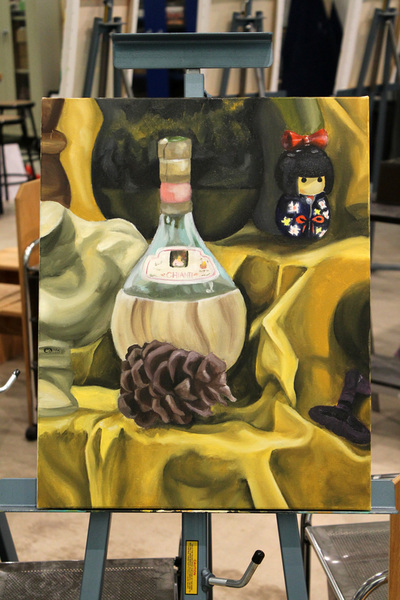 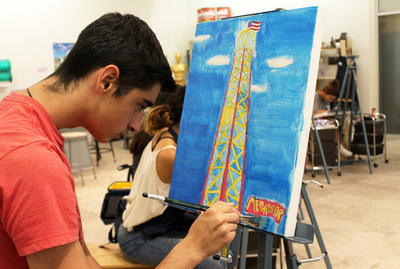 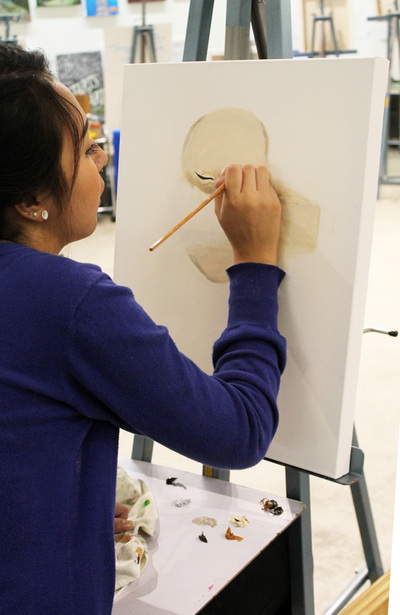 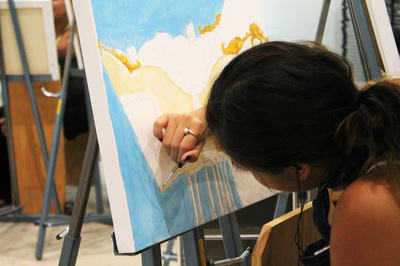 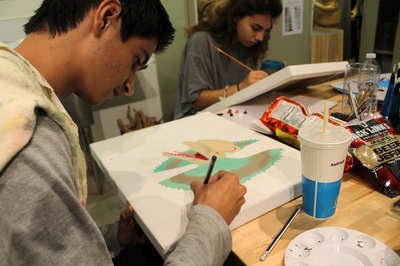 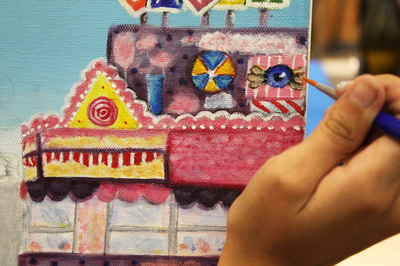 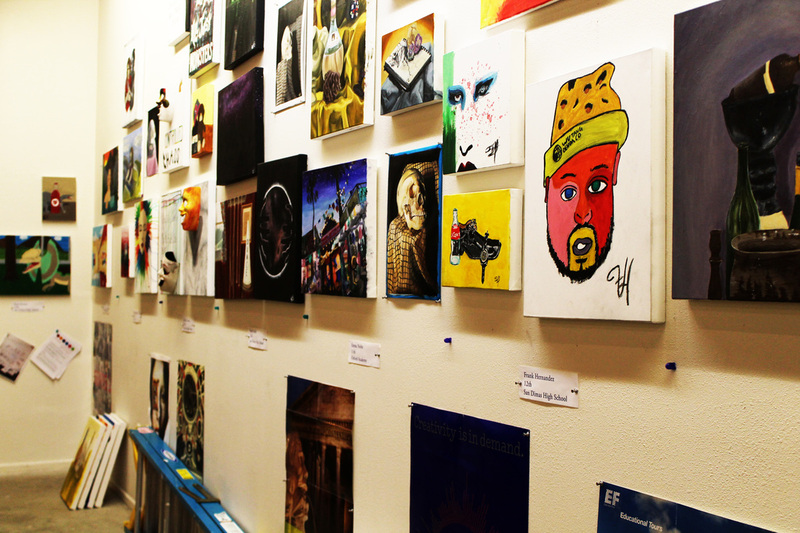 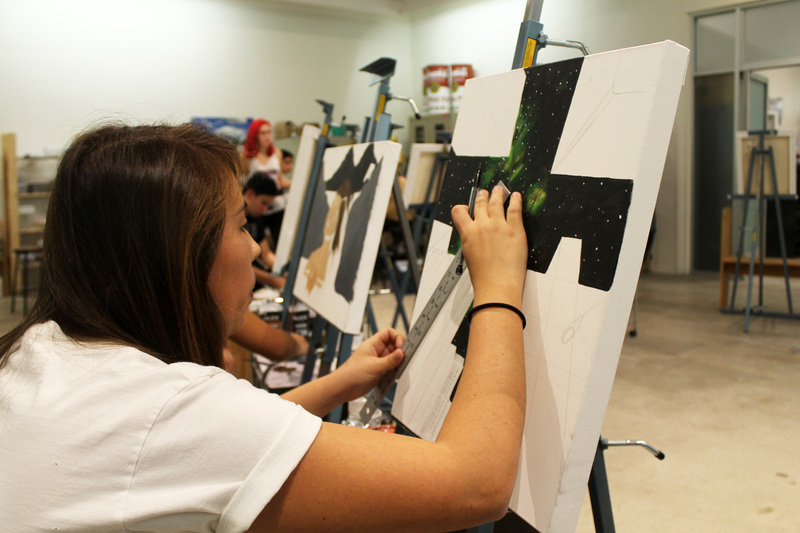 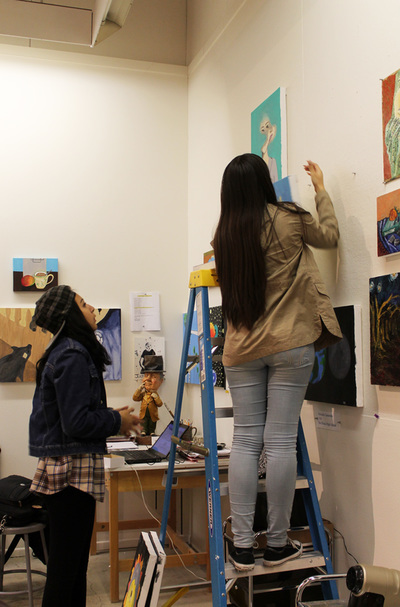 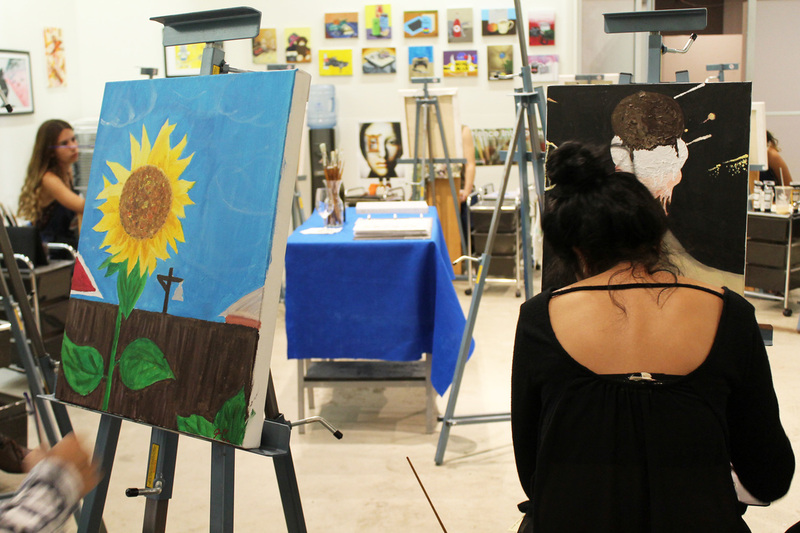 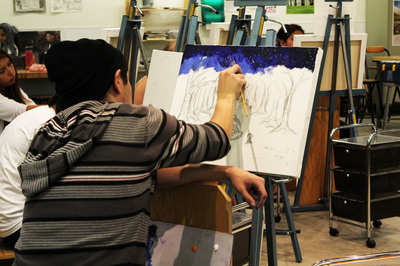 The Reed Fine Arts program appreciates the ambition and passion students have to harness and unlock their creativity. The best way to encourage the path to their artistic development is to deliver opportunities to explore and retain their artfulness. 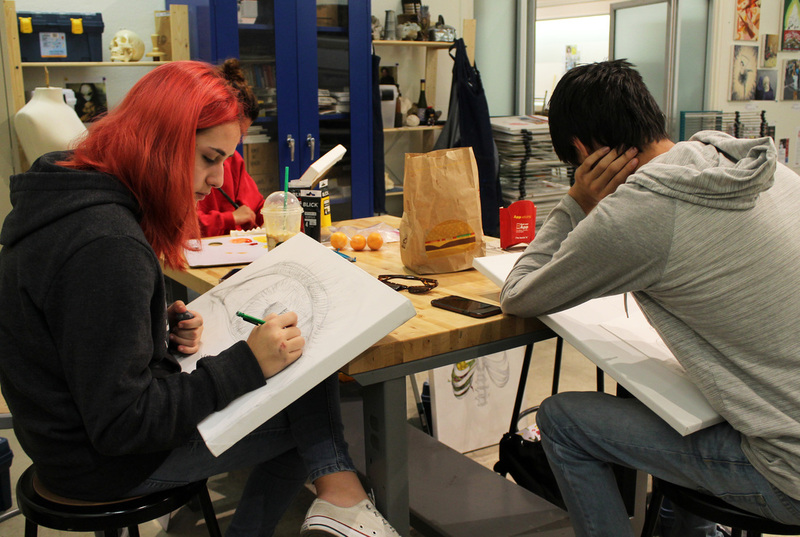 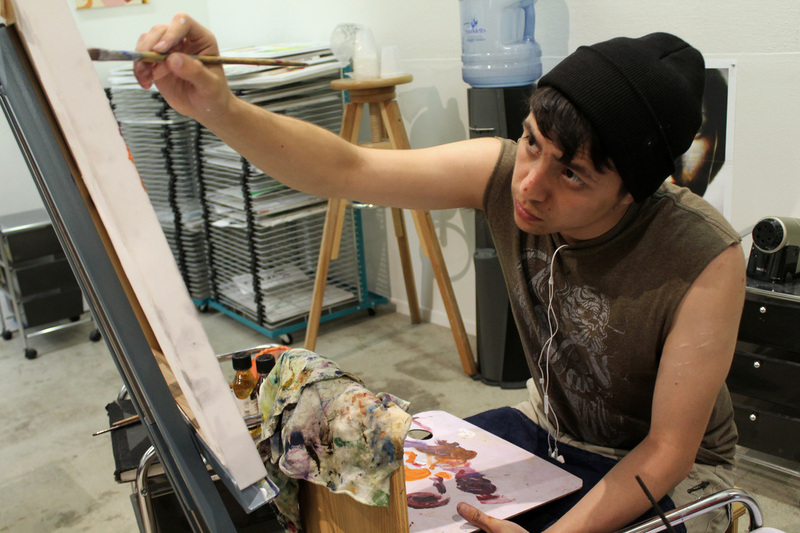 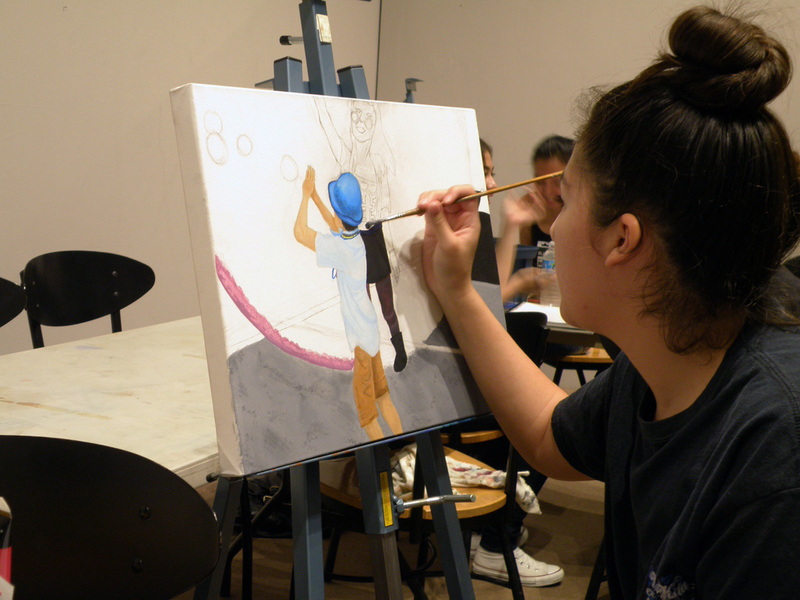 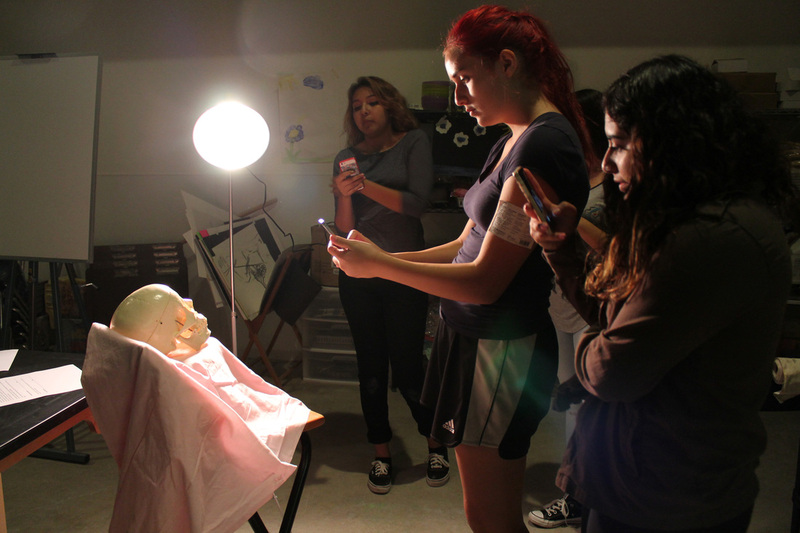 Through a combination of weekly instruction, open studio, guided practice, and extracurricular responsibilities, our students will have the tools they require to become the artists they dream to be. In the studio, October 2, 2015. 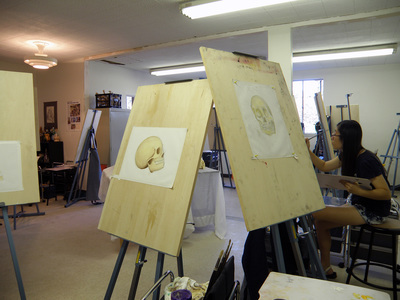 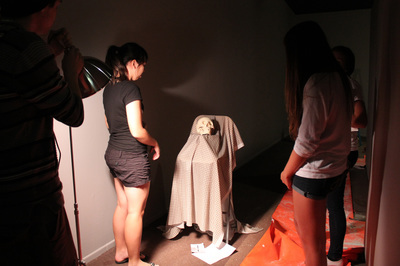 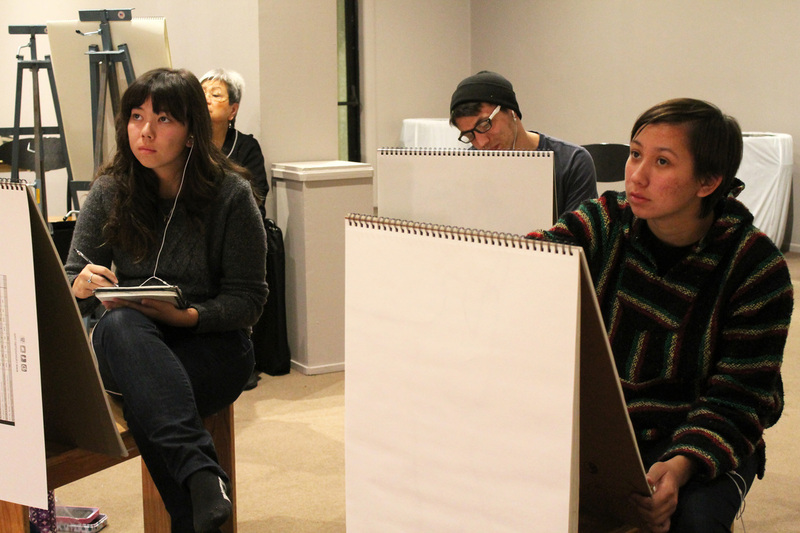 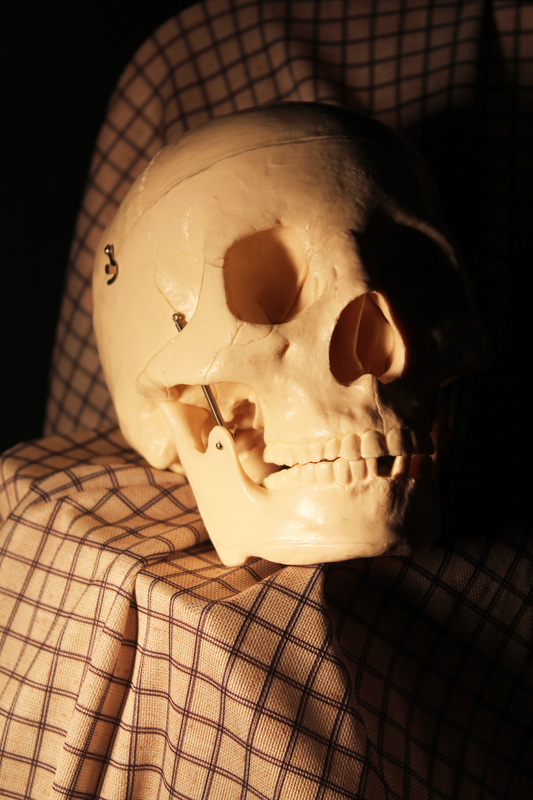 In the gallery studio, October 9, 2015. 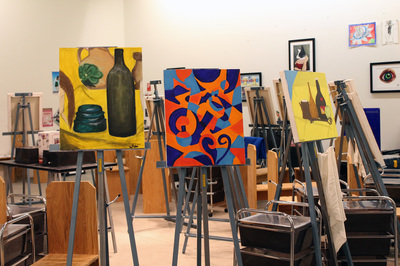 In the studio, December 4, 2015. 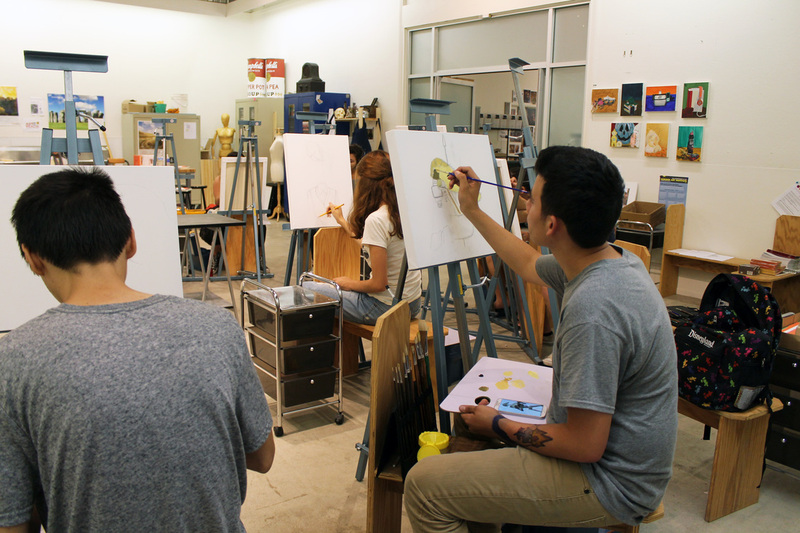 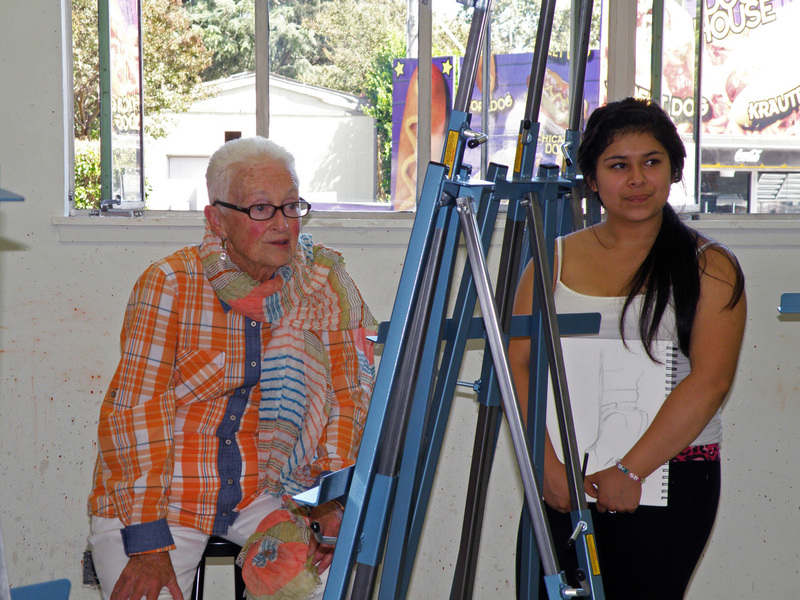 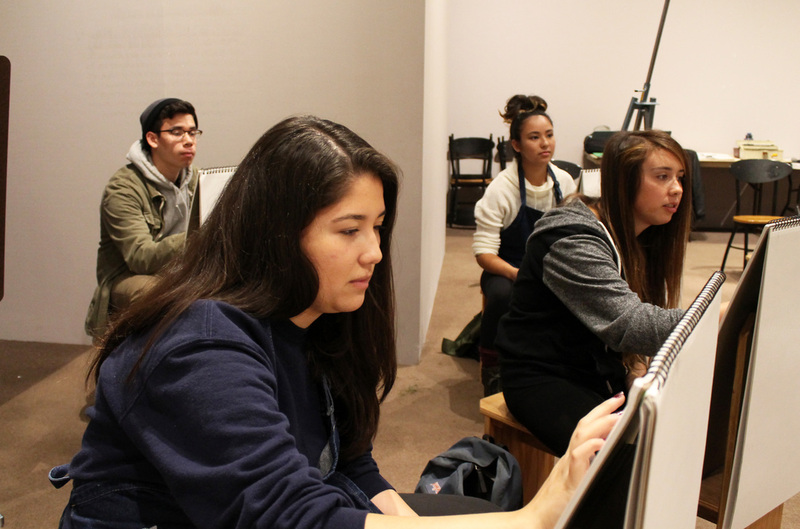 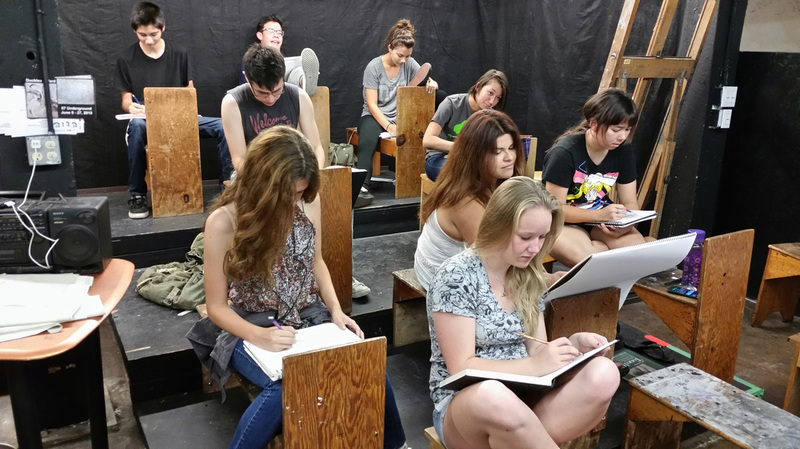 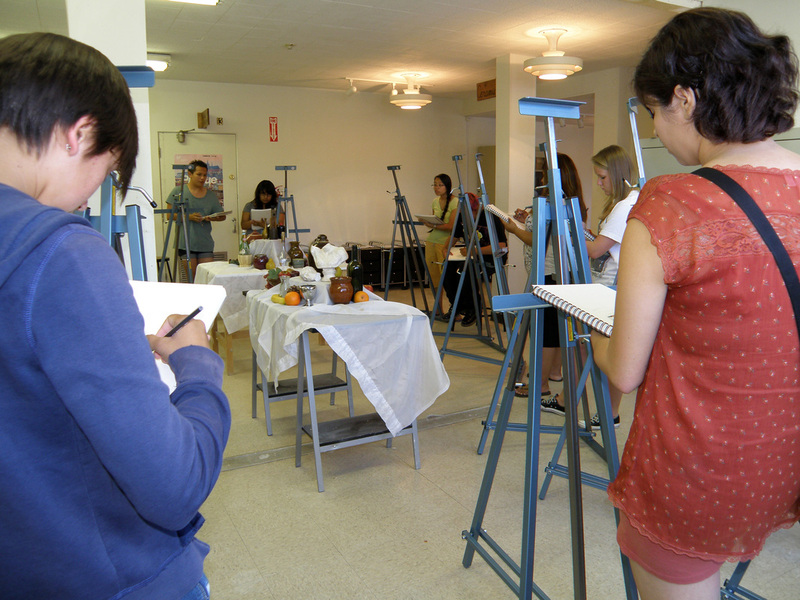 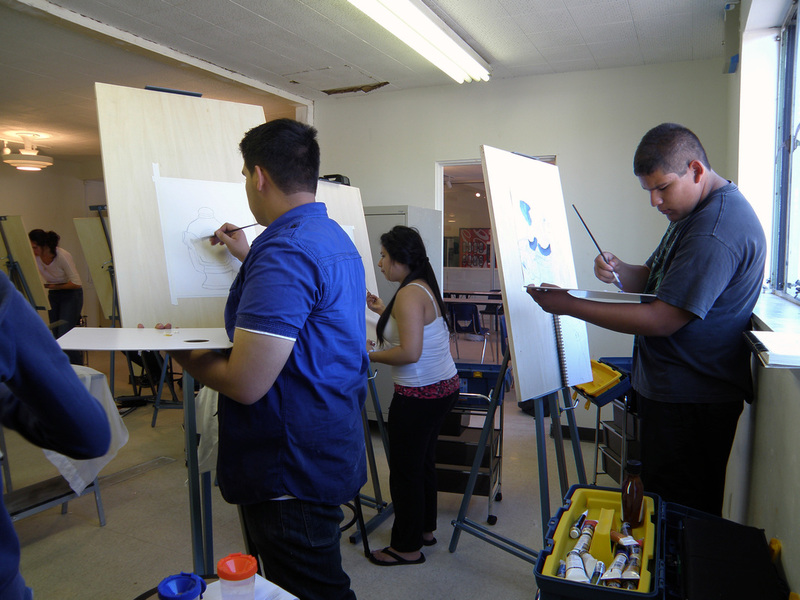 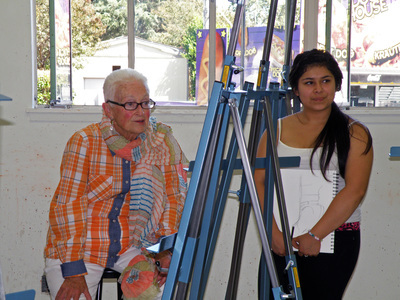 ​Our students work within the Millard Sheets Art Center at Fairplex, a Works Progress Administration building erected in 1936. The art center has always valued the joy the arts bring to our lives and in the past has exhibited works by the great artists of past generations such as Henri Matisse, Auguste Rodin, and Vincent Van Gogh, to name only a few, and will continue in this tradition by nurturing the talent and beauty created by artists of this generation and the next. 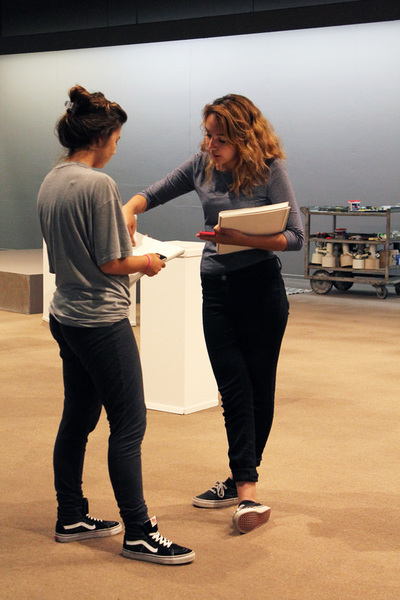 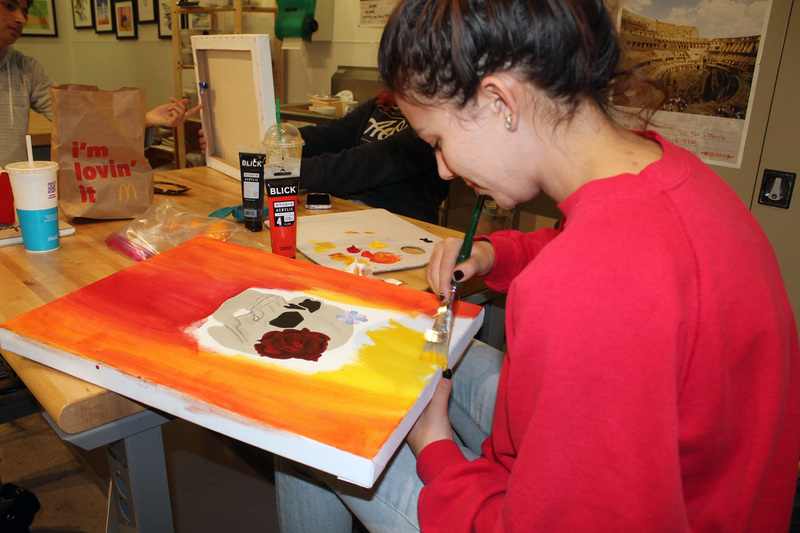 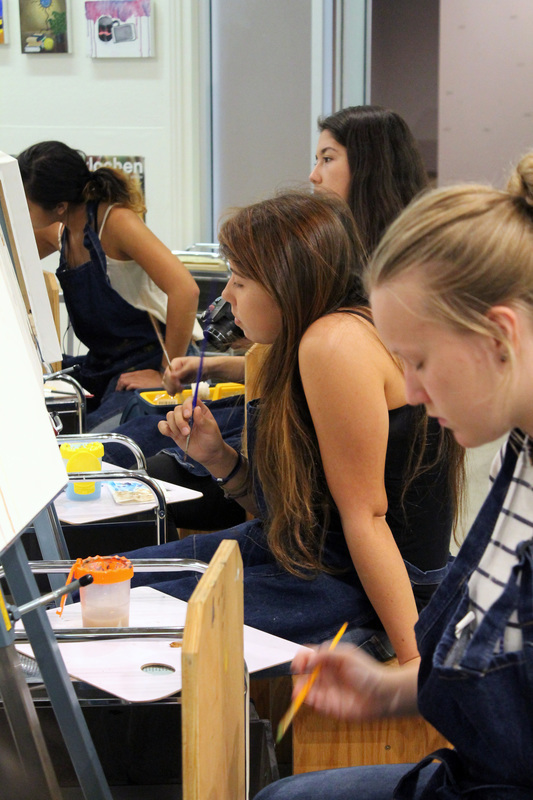 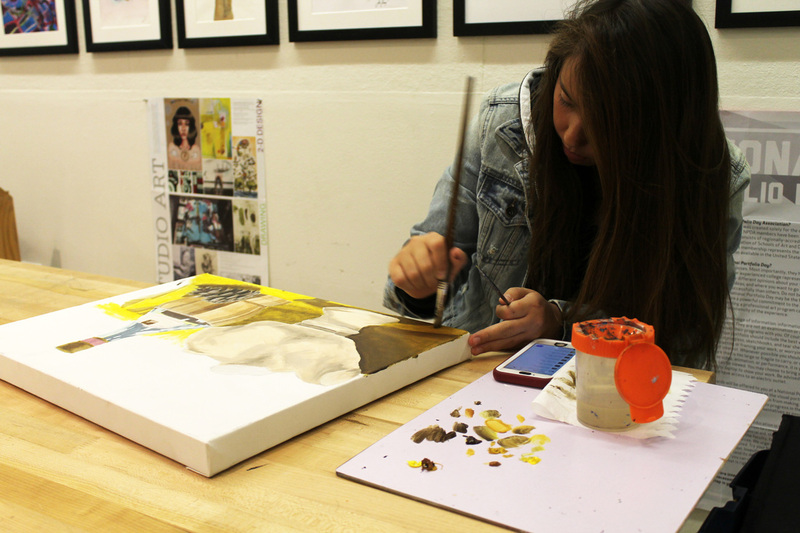 The Reed Fine Arts program offers students the opportunity to join the program as a cohort, working together as they advance through each stage of the curriculum. 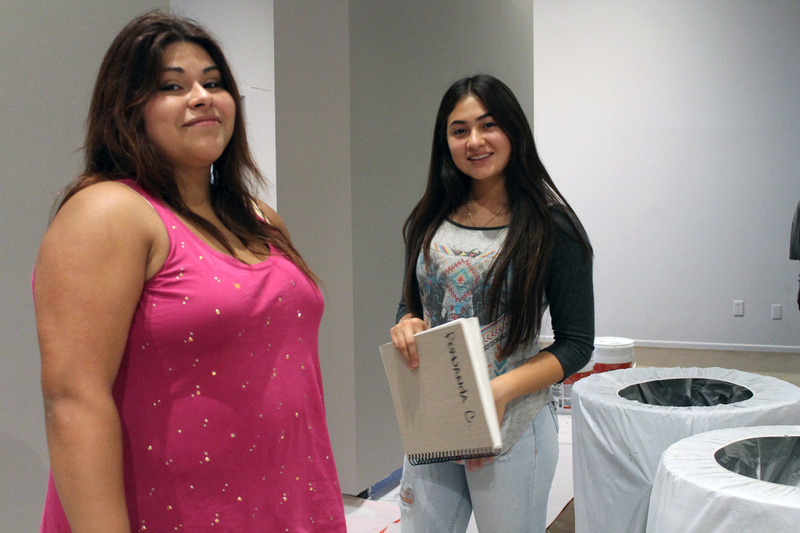 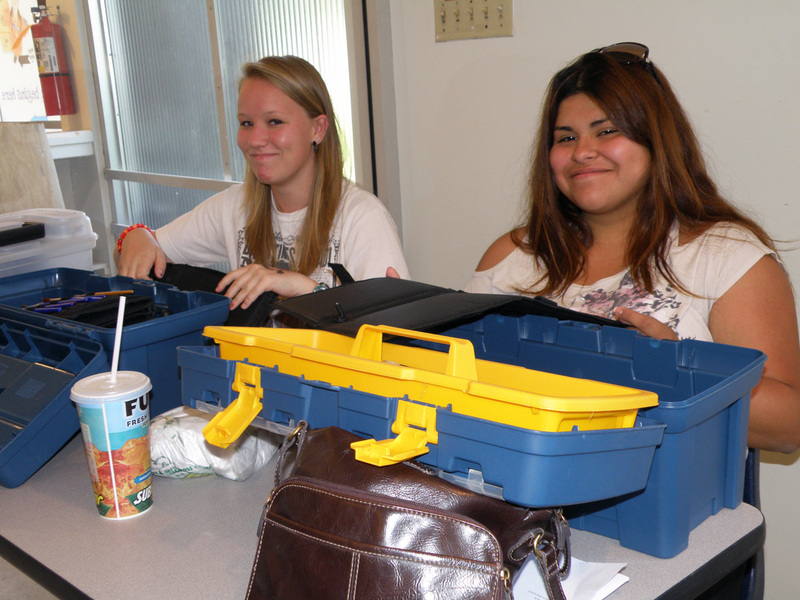 Our students participate at no cost and are provided all of the supplies necessary to accomplish the program goals. As such, it is necessary to select those students that best demonstrate the qualities and skills it will require to commit and successfully complete the yearlong program. Students are asked to submit an application and supporting materials to be considered for one of the twenty positions. 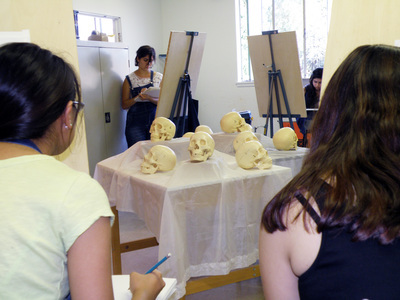 Students may also be asked to participate in an interview if further consideration is required. 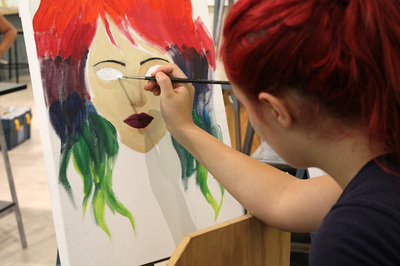 Students who are selected to participate will work beginning in the summer and continue through an additional two semesters in the fall and spring. Completion of the program will culminate in an exhibition and certificate of completion. 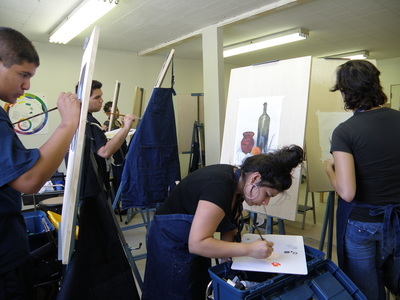 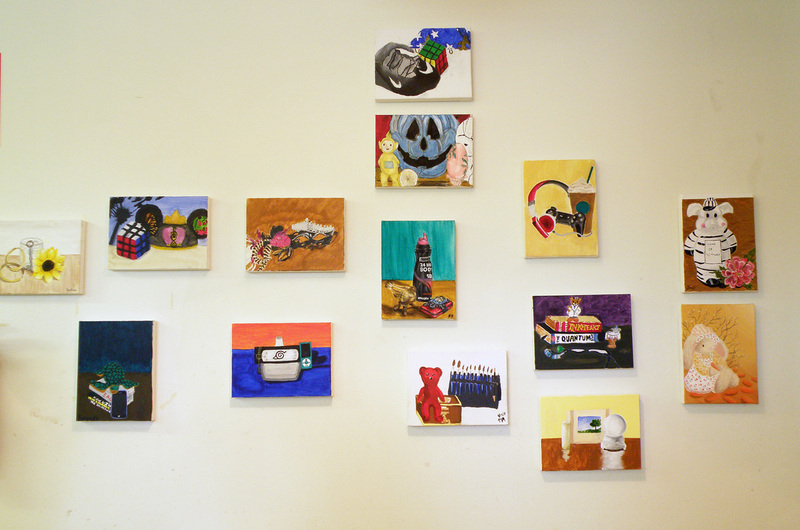 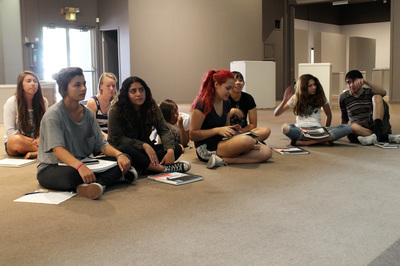 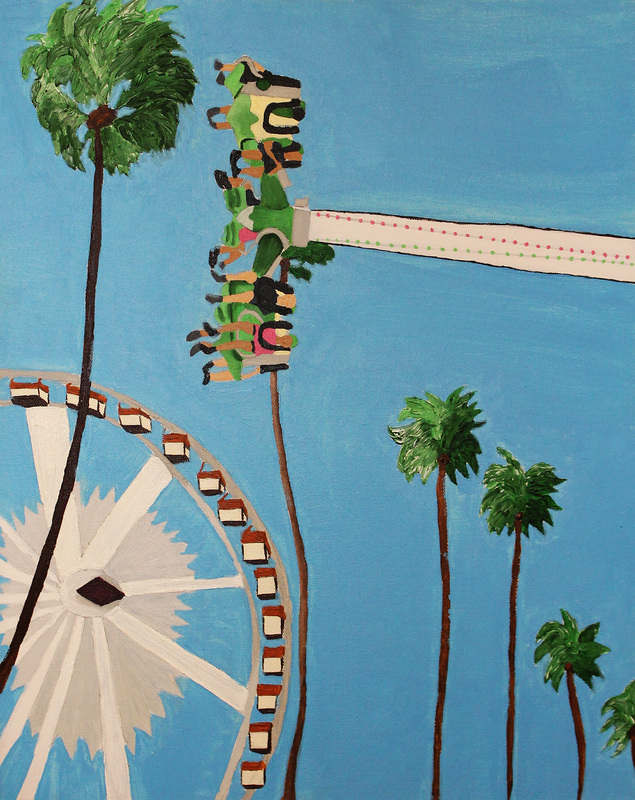 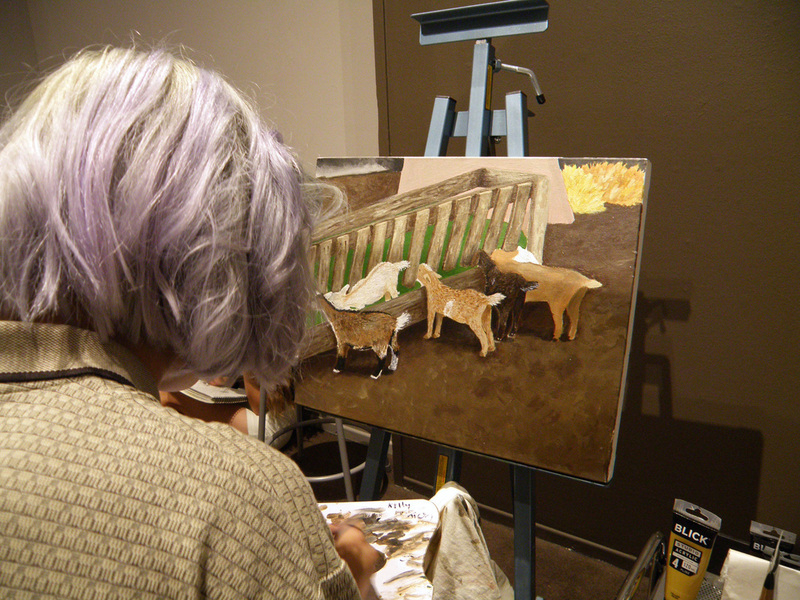 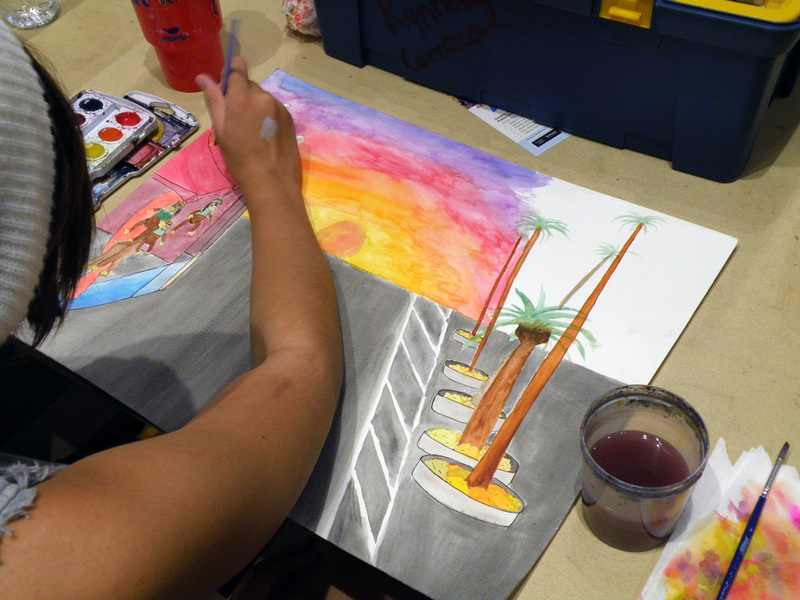 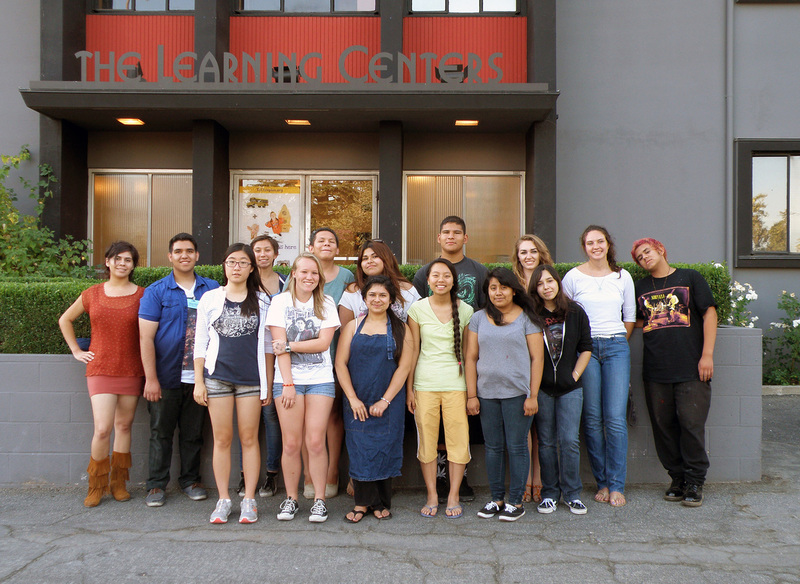 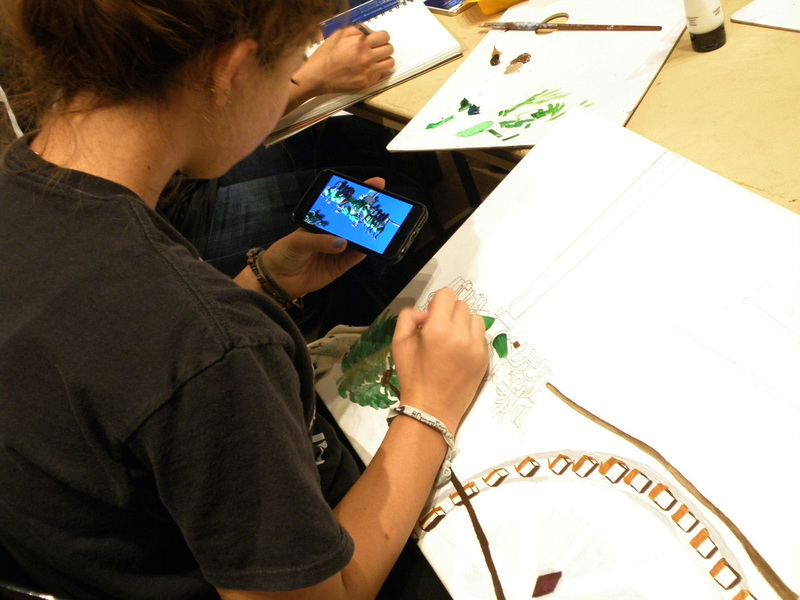 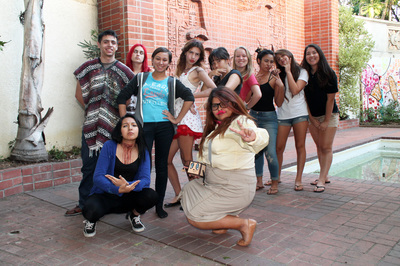 When students successfully complete the program they will have participated in more than 130 hours of classroom instruction and open studio time, explored museums in and around the Southern California region, hung their artwork on the same walls as Monet and Degas, learned from professionals in the art world, and discovered new career pathways in the arts. FIRST CLASS: RFA 2014 - 2015. 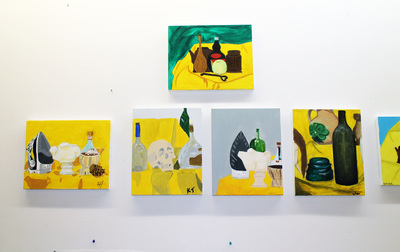 A day in the studio. 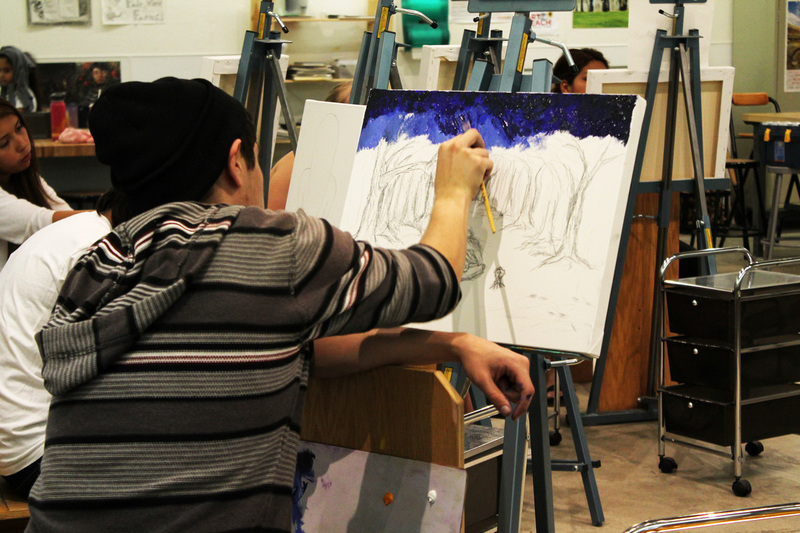 RFA students working in the style of Claude Monet.